The lines of the Samuel Beckett Bridge, inspired by the harp on the obverse of Irish coins, complement those of the Convention Centre and One Spencer Dock. 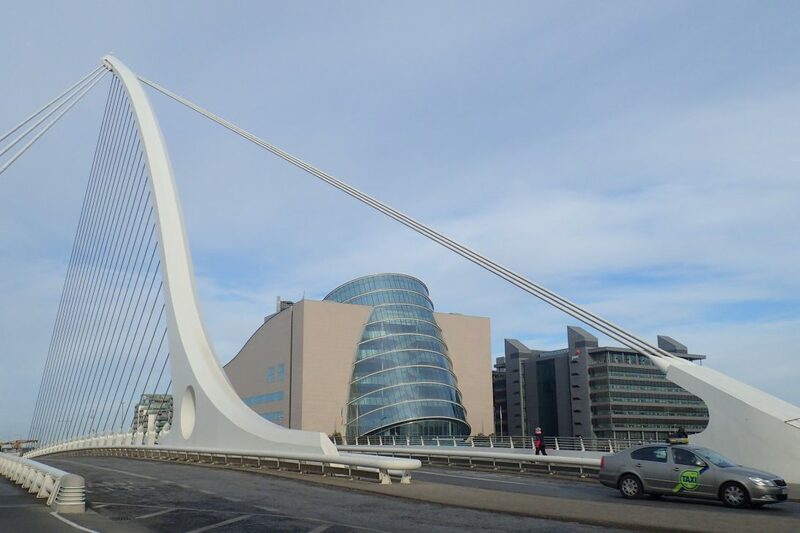 Its location means Dublin’s second Calatrava bridge is fast becoming the city’s most recognisable landmark among the tech community. Leaving the Ha’penny Bridge in, well, the ha’penny place.